Calaméo - Is Growth Hormone Replacement for Normal Aging Safe? 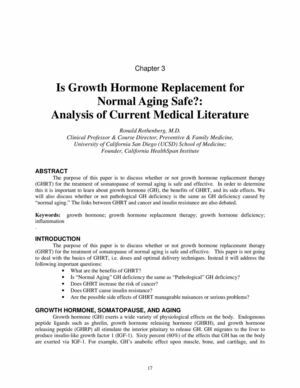 : Analysis of Current Medical Literature Ronald Rothenberg, M. D.
Is Growth Hormone Replacement for Normal Aging Safe? : Analysis of Current Medical Literature Ronald Rothenberg, M. D.